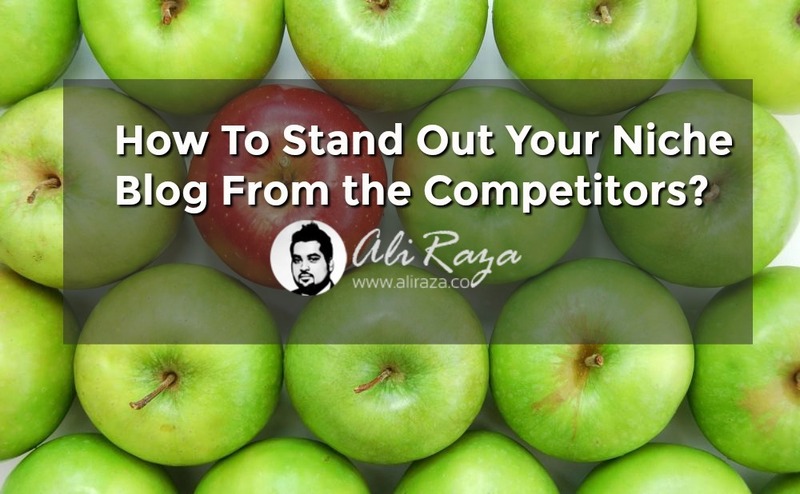 How to stand out your Niche Blog from the Competitors? It also depends on your blog niche competition because your competitors may be investing a lot in creating the high quality content and improving user experience. But you can still make your blog unique and out rank them with the strategy. I am not saying that you are not able to provide the best user experience without investing but if you are not thinking about the user experience then you are missing the big game. Or they are providing some guides but the one you are looking for is not published there, what will you do? I guess you will quickly get back to the search and enter to other site, Right? So, your quick reaction on back button is actually telling their bots that this site is not relevant and they will replace that site with other one where you have found that guide or users are spending time. This is good example of providing and not providing the best user experience just for reminding you the importance of users in SEO. Now let’s get back to our Point that how you can make your blog unique that users will start referring you rather than your big competitors. 1 How to stand out your Niche Blog from the Competitors? 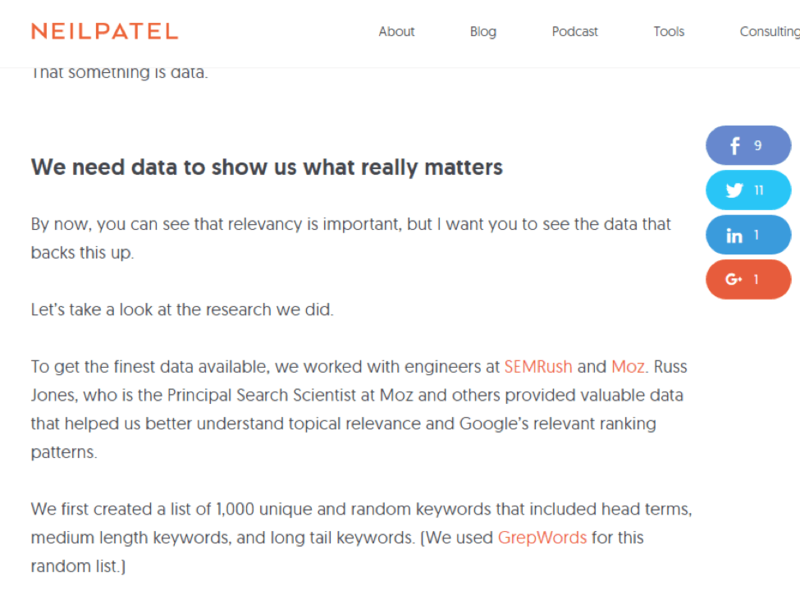 If you also like to read SEO related blogs like me then you may already read a lot about long tail keywords or might be expert at finding the low competition long tail keywords. But if you are not making the right use of those keywords then all your efforts will go in vain, saying with experience. Actually, most of the long tail keywords are low competition because big boys are not paying much attention on these keywords due to the less searches and profit. You can easily find the long tail keywords by using the tools like Long Tail Pro, Keyword Planner, Keywordtool.io, ubersuggest and Ahrefs. After making a list of those long tail keywords related to your niche now it’s time to create high quality content around those keywords. As I have already mentioned above that big blogs are not paying much attention on these keywords so it’s an opportunity for you to start getting some organic traffic even at the starting of your blog. Sure, it will give you very few page views but you can successfully make the authority in the eyes of Google in very less time for ranking some more and then more keywords. Long tail keywords are low competition but that never means that Google don’t have any results to show on these queries or waiting for your content. Listen to me carefully that these keywords are low competition because the already available results are not highly related to the queries or most of the time not even completing the user intent. You must be thinking that if those results are not completing the user intent then why the Google is ranking them, the simple answer is; they don’t have choice. So, the right way of using those long tail keywords for ranking high is that before creating content you need to find the user intent behind every query. Behind this query the user is looking for the ways of starting a successful blog in Pakistan or for the audience of Pakistan. Now, it clearly shows that there is a gap in the user intent and results because the user wants to see the Pakistani ways or resources for starting a blog. So, if you write an in-depth guide on this keyword while keeping the user intent in your mind then your chances of ranking high is more than those big competitors. You can see these titles are more clearly matching the user query and will more likely to get the clicks and if the content is well-written then it will stick to top in very less time. It’s the great technique that you can use for getting the more organic traffic. To be honest, finding these kind of keywords is not very easy and you have to spend a lot of time at forums, Q&A Sites, Social media and keyword tools for digging these kind of keywords related to your niche. My suggestion for this is that don’t ever forget the Google trends because it can give you the keywords which are just started trending and your competitors are might not aware about those queries and you know ranking for new keywords is very easy. 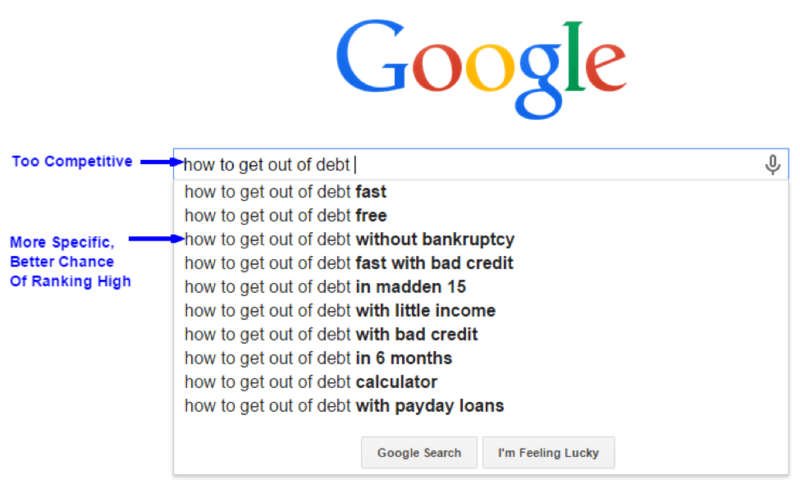 But wait, What if the Google already have good results on those Long tail Keywords? Before this we were just trying to match the user intent but now you have to improve the user experience by providing the high quality content. Let’s say that already available results are just writing short articles on those keywords then you have to write the long in-depth guides for improving user experience and outranking them. If they are providing in-depth guides on long tail keywords then you have to write your content in the more user friendly tone by learning the intent, if they are good at it then you have to add podcasts. In simple words, you have to find the gaps and faults in your competitor content before making yours and then fill those gaps while having the user intent in your mind. So, if you are providing them with great content type in good presentation then you will win the game. Actually, these are the things that you need to figure out before entering any niche that how you can grab those customers or viewers by just adding the value and filling the gaps. Why they are not selecting you to rank for those keywords even on the 20th page? Let me explain you this with very common example that why you are not calling a general store present in your nearest market a “Shopping Mall” or “Shopping Hub”, because they have limited items of some brands and not the complete collection, right? Then why Google will rank you for the query “fitness guides” when you don’t have enough guides on fitness which can satisfy their users easily. It’s all about the content depth, I am explaining this to give the answer of most frequently asked question that “But I will only get few page views with long tail keywords related to my blog niche”. In other words, creating high quality content on those long tail keywords will actually help you in getting the rank on short and competitive keywords as well. A study published on Neil Patel also explains that after searching millions of URL’S they have discovered that blogs with more content on specific topics are ranking higher than sites having more domain authorities and age. So, if you are trying to rank for highly competitive keywords then make sure that you have written on that topic from every angle and on every searched query related to that topic and most importantly the articles are linked with each other in a great way. Your internal linking will automatically increase when you are creating much quality content on the same topic due to relativeness and it’s the very positive ranking factor. It will also give your blog the authority on specific topic and without millions of backlinks you will start seeing the results clearly. We all know that there is a big difference between the blogs which are created for ranking higher or the blogs which are selected for ranking higher. So, don’t make your blog for ranking higher I mean just make it trustworthy with the natural way. I am a browsing lover and my eyes can easily find the difference between trusted and spam websites just with the first look of their color schemes. You need to find that which color will match your blog topic and interact your users, In this case you can do a small survey by showing your blog to your friends, I love the color scheme of Nerd Fitness. Most of the bloggers are ignoring fonts styling and using the default wordpress fonts and then wondering that why users are not staying on their blogs. You may already know that adding About US page and writing your blog goals clearly is giving the positive signal to the Google and it will also increase your trust rate in the eyes of your users, Nerd Fitness has also written a best About Us Page. If you are thinking long term about your blog then you have to try your best to change every user to subscriber, so you need to show them that behind that information they are getting from your site you also have thousands of other guides which will help them completely. So having a clear navigation to different categories is very beneficial for ranking high or for providing the best user experience, I have seen the clearest navigation on Born Fitness Blog. Always keep it in your mind that in online business your competitors are your best opportunities and most of the time it’s not possible to grow your business without their little support. Did you ever notice while reading the blogs that they mentioned in the footer area “Our blog featured on these big sites”. Suppose you are running an SEO blog and you have done some effort for getting a chance to write on NeilPatel.com and Problogger.com and pasted your link there in the author section or within the blog. Now you mentioned this on your blog that our blog is featured on NeilPatel and Problogger which are the top blogs in the SEO Niche, so your users will automatically believe that they can easily trust you. Actually this is the easy way of getting links and gaining authority with the help of your competitors. But the question is how to get the chance to write on related niche blogs? I am not going to suggest you the tools and tricks for getting the replies of related blogs owners but telling you the way I am using for getting the chance to write on other blogs. Simply search on the Google for your niche keywords and open the websites as much as you can and make the list of those blogs. Now check the Domain authority of each blog because at starting you need to try it on less popular blogs as you are not expert at it. So, after collecting some less authority blogs simply get their contact information from their “Contact US” page and write them a simple email in which you are showing that you are the very big fan of their content and will love the chance to write on their blog. Remember never ever mention that I need the link in exchange of my writing, just show them your love for their blog and your willingness of writing for them. With this simple method I get almost 60% of people replies in very short time and then after collecting the details from them now it’s time to mention that “It will be okay for you to mention my own blog link in the author bio section or within the article but it’s okay if you don’t wants to…”. Guess what? More than 70% of people said YES and for remaining 30% I still write without any links because I know next time they will be agree for it. This is the simple way that I use for making a healthy relationship with my competitors and getting the most benefit out of it, as you know related links are the most strong votes which are hard to get but not impossible. Honestly I want to mention this that I never knew the benefits of guest blogging before giving it a try believe me it can increase your authority, trust and audience. I mean it will be worth adding guest blogging in your blog growing plan. If you are trying to stand out your blog from crowd then must see your content and layout settings from the users shoulder and keep updating it according to the needs for providing the best user experience in your niche. SEO is a time taking process and can never show you the results instantly even you are doing the things accurately, I always say to myself that patience is also the major ranking factor and it helps me a lot. So, you need to work smartly and consistently for climbing the crowd in Google listings and have believe in yourself and again I am saying that keep improving the quality for your users. Finding and choosing those long tails might be a little tricky, as one needs to be sure about where they are putting their efforts and whether it will be profitable in the long run. I will very much agree with you on the point of user intent. There might be lakhs of results for some queries, but it’s not necessary that they are written with the same intent of the search query. That is the gap that one needs to identify and produce much better content. At the same time it must be crafted well enough so that you can rest assured that it will keep ranking high for some time to come. Thanks for your lovely comment !!! rehashed information. Great read! I’ve bookmarked your site and I’m adding your RSS feeds to my Google account. 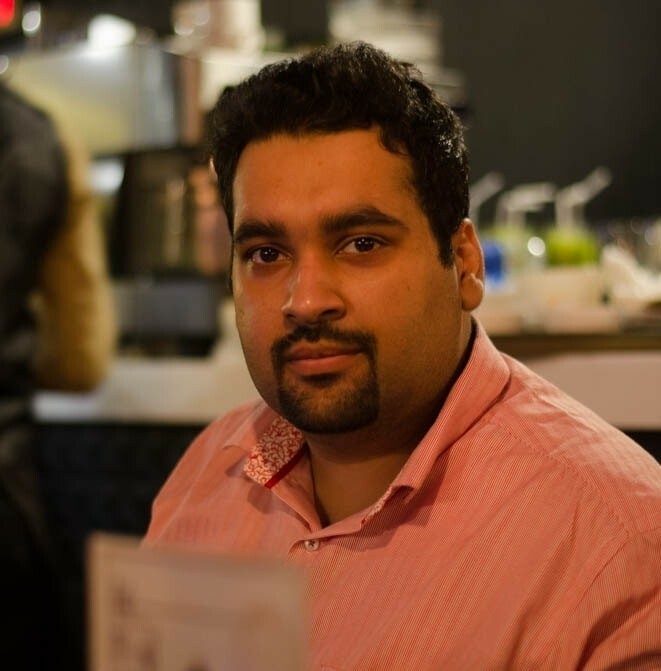 I am glad that we helped you in your blogging journey !! I liked the way you write. Awesome tips, too! Your words really matter for me and I am glad that I helped you. After visiting your blog I noticed you are also doing a great Job, just keep doing and inspiring people. what an awesome guide you shared! Keep reading for digging some new ideas about creative blogging !! I am glad that you fond it helpful, happy Blogging !! Without understanding your first sentence 🙂 I am happy that its helping you…Keep reading !! !